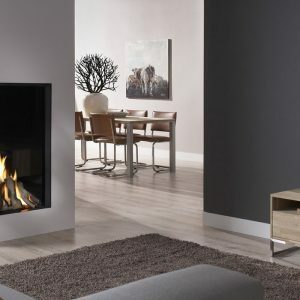 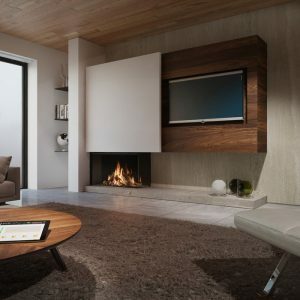 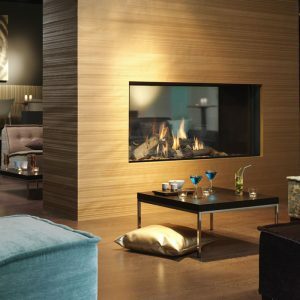 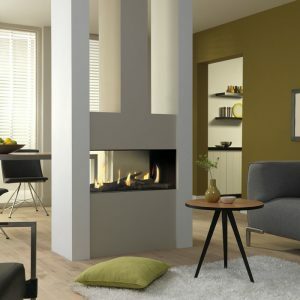 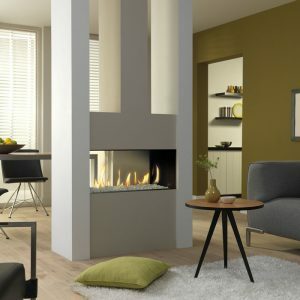 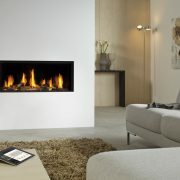 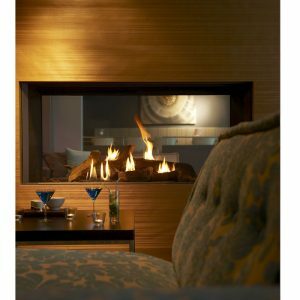 Metro 100XT/3 is a 3-sided gas fire that has an impressive fire display, which can be viewed from all parts of the room. 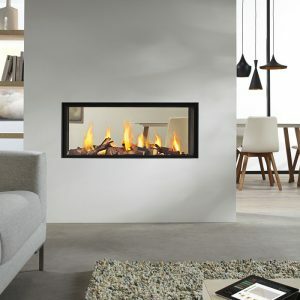 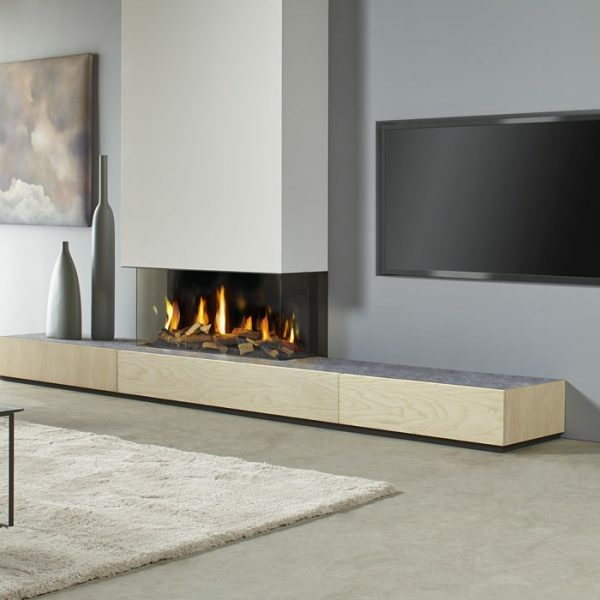 The fire’s substantial heat output of 7 kW is enough for a larger than average living room. 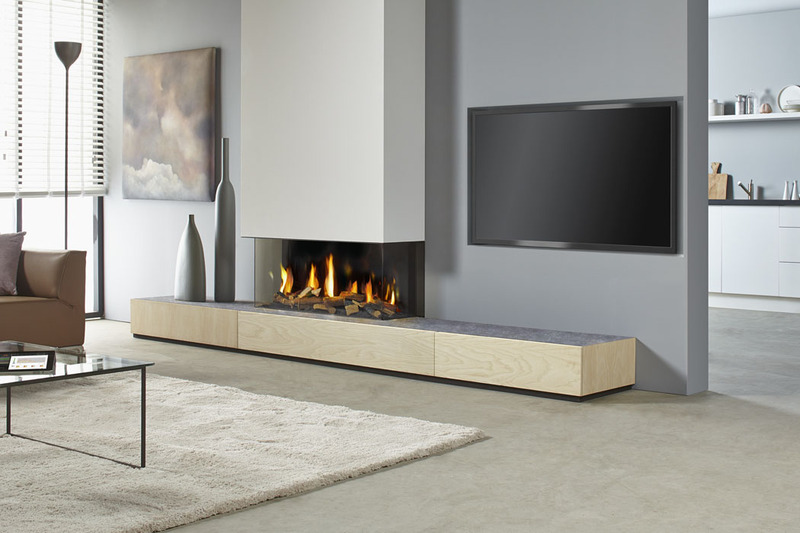 To complete the visual experience, DRU provides complimentary raised hearths and false chimney breasts in heat resistant materials. 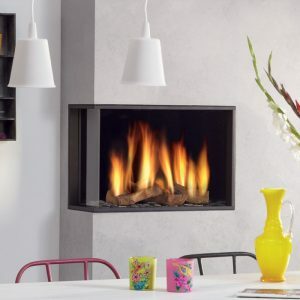 With an efficiency rating of 85%, this product makes a fantastic cost-effective addition to your home.